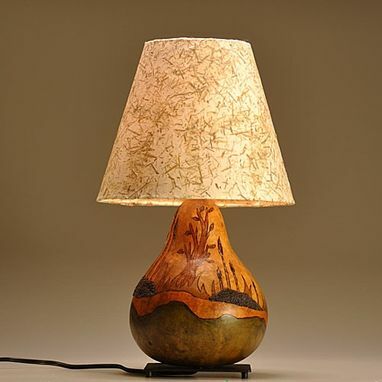 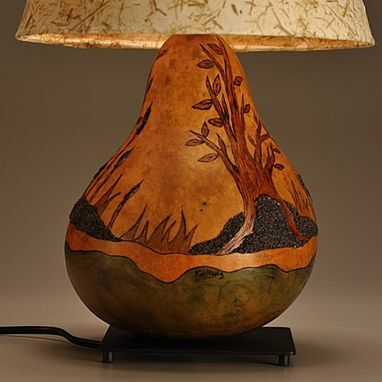 This one of a kind lamp is made from a hard shelled gourd. 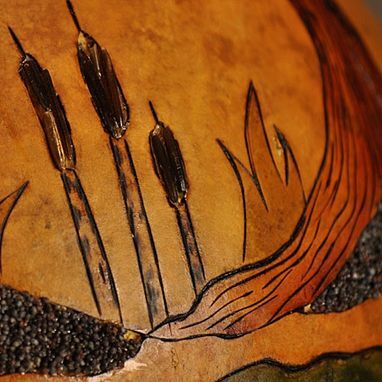 This country bull rush and tree design is wood burned, hand carved and intricately painted with natural dyes. 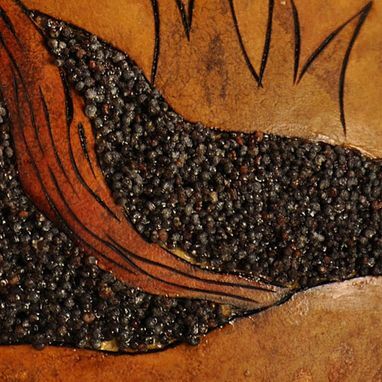 Inlaid wild rice and poppy seeds add an unique textural component to this piece. 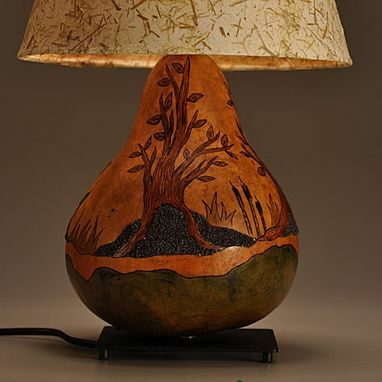 This lamp sits on a sturdy metal base, inviting you to manually turn the gourd for full viewing options. 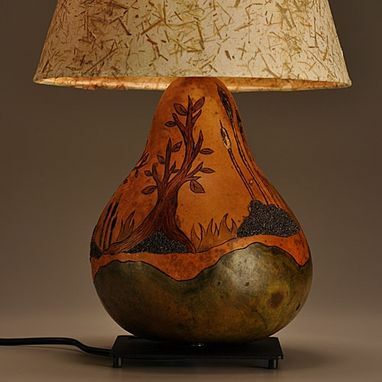 This picturesque artwork creates perfect ambiance in every room. 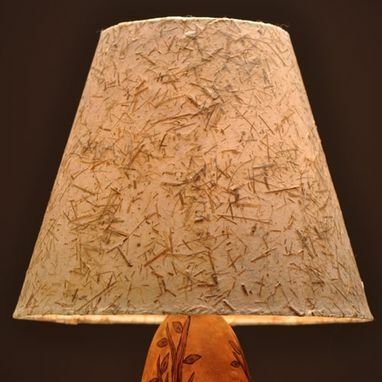 The custom made polystyrene lamp shade is covered in handmade paper and compliments the organic elements of the work. 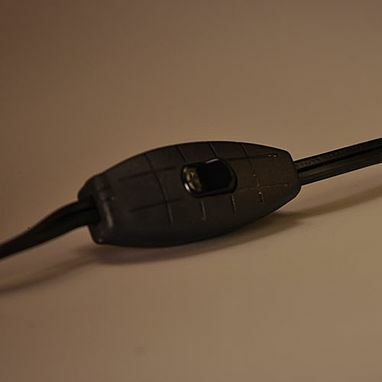 This 75 watt lamp has a convenient on/off cord switch. 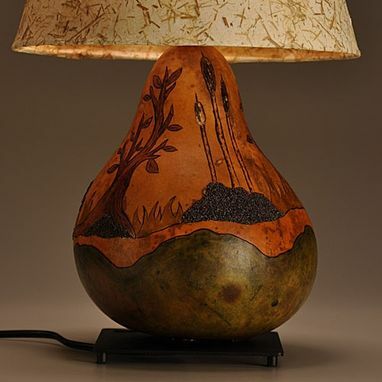 Dimensions: This one of a kind lamp is made from a hard shelled gourd.